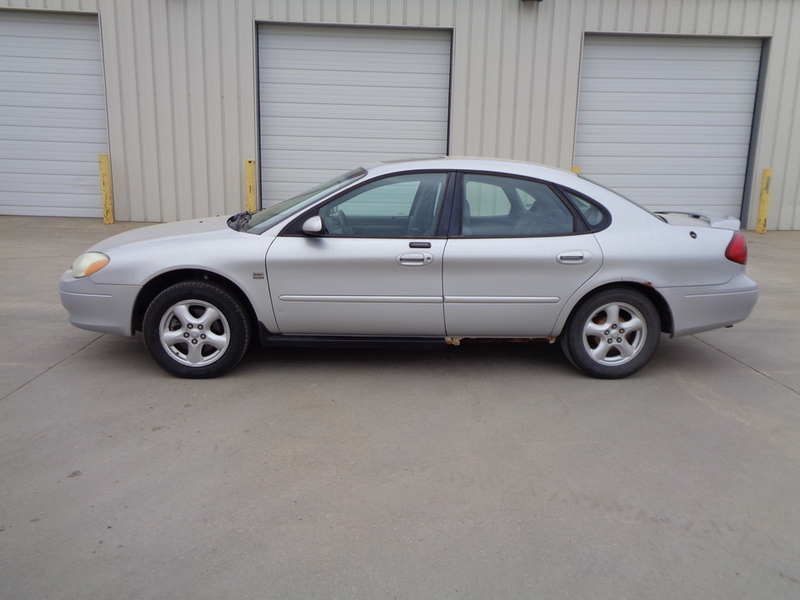 Check out this 2003 Silver Ford Taurus SES 4 door sedan with 172,019 miles on its 3.0L 6 cylinder 24V DOHC gas engine. It has gray leather interior and an automatic transmission. The front bucket seats and center console will be very comfortable for passengers listening to the AM/FM/CD stereo. It has rear defrost along with power windows, power mirrors, and power locks. It has Starfire P215/60R16 tires.